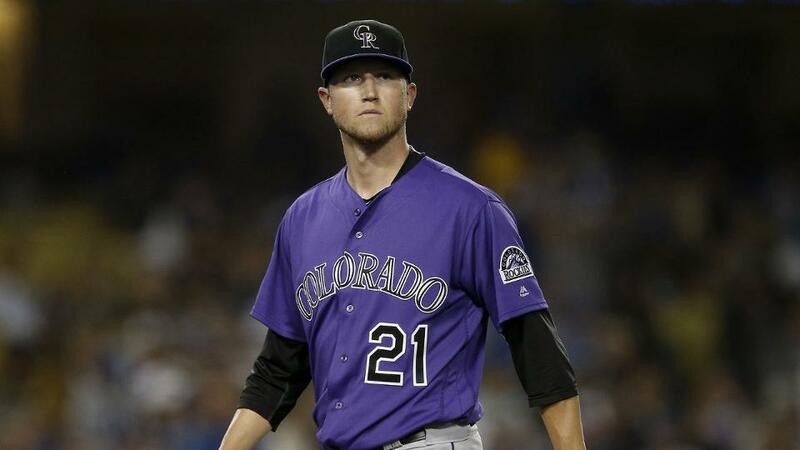 SCOTTSDALE, Ariz. — Rockies left-hander Kyle Freeland spent part of the winter being man about his hometown. He handed out backpacks, sank a free throw on opening night for the Denver Nuggets, dealt @KFREE_21-worn goodies on Twitter and even donned a tux for a local magazine cover. But with a new season dawning, Freeland plans to be something of a stranger, at least to opposing hitters. Last season, Freeland went 17-7 to tie the club wins record, he posted the franchise’s lowest ERA since Marvin Freeman’s record 2.80 in the strike-shortened 1994 season and he tied for third in the National League with 24 quality starts. Now he wants to maintain his success while throwing out different looks. Freeland loves using his four-seam fastball, cutter and slider to ride toward the hands of right-handed hitters. But he could add another look with a more consistent use of the two-seam fastball, which sinks down and away from righties. He used the pitch on and off last season, according to Statcast™, 337 times in 2,553 total pitches to righties (13 percent). Freeland’s eyes twinkle when he breaks a bat with an inside pitch. But a more mature mix, attacking both sides of the plate, could be a weapon. “I’m throwing that two-seamer back over the plate, they’re taking it and it’s a strike,” said Freeland, who yielded a .272 average and .346 slugging percentage in 81 at-bats that ended with left-on-right two-seamers. The other pitch Freeland wants to employ more is the changeup vs. lefty hitters — a tough one because the ball could end up in the bat path of some power hitters. According to Statcast™, Freeland threw changeups 14 times in 697 pitches to left-handers (two percent). Hitters put it in play just twice — groundouts by the Giants’ Brandon Belt and the Reds’ Joey Votto. Freeland threw his two-seamer while lefty-hitting Rockies infielder Ryan McMahon stood in the batter’s box during a recent bullpen session, and he was encouraged about the pitch’s action. Freeland finished fourth in National League Cy Young Award voting last season, but a couple of statistical projections suggest the lefty is in danger of taking a step back. The Bill James Handbook 2019 projects Freeland at 13-11 with a 4.25 ERA, third-best on the staff to German Marquez (14-10, 3.79) and Jon Gray (11-9, 4.04). Baseball Prospectus’ PECOTA projects Marquez to be the sixth-best pitcher in the Majors, and also projects Gray’s value higher than Freeland’s. Manager Bud Black once was a young left-hander trying to push his career higher, so he understands where Freeland is. “With Kyle, there’s always a desire to get better, to really finish off certain parts of his game — whether it’s delivery, pitch development, control and command,” Black said. “He made great strides from ’17 to ’18. But if Freeland works his new wrinkles properly, it’ll be all the hitters can do just to get to know him again.